When Dave Mustaine was diagnosed with radial neuropathy (strained nerves in his left arm and hand) in 2002, it almost meant the end of Megadeth after two decades of thrash metal. 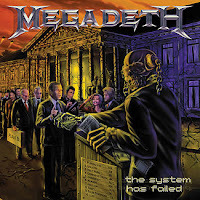 Megadeth's first years are deemed legendary with classic albums such as Rust In Peace and Countdown To Extinction. 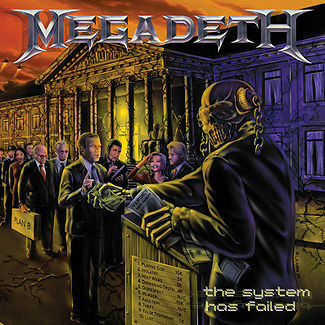 Then in 2004 Mustaine resurrected Megadeth and released The System Has Failed. 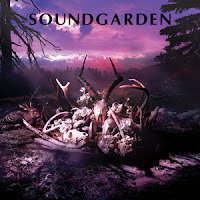 A surprise return including Chris Poland on guitar whom Mustaine fired after the masterful Peace Sells album. This re-pairing makes the album even more ferocious than the good old fashioned Megadeth thrash is all about. Dave Mustaine is going for that vibe on "Back In The Day" and he infuses it with melodic songwriting which makes this an outstanding Megadeth album, if not, the best Metal Album of 2004! For the score to one of his most iconic films Carpenter and Howarth created what can only be described as electronic blues, The score is recognisable as Carpenter but has a dusty slow pulsating western feel that really does give it a life of it's own. The 1988 film follows a nameless drifter referred to as "Nada", who discovers the ruling class within the moneyed elite are in fact aliens managing human social affairs through the use of a signal on top of the TV broadcast, concealing their appearance and subliminal messages in mass media. Exclusive new artwork by Gary Pullin. Liner notes by Alan Howarth & Gary Pullin. 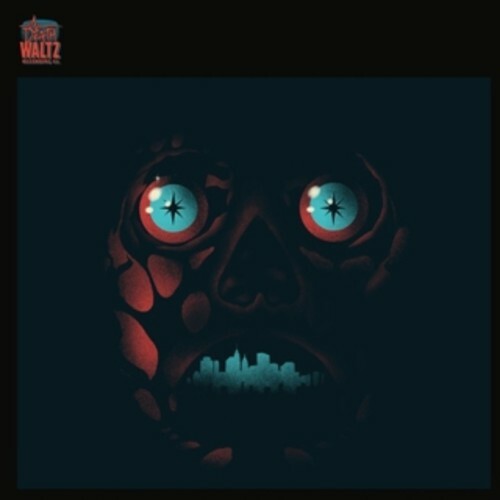 Exclusively re-mastered for this vinyl release including 6 tracks that never made it into the original film. 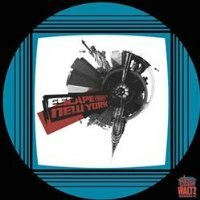 John Carpenter not only directed Escape From New York but also composed and recorded all of its music too. This score sounds as fresh today as it did when it was first released. Laden with brooding electronic pulses, flashes of Krautrock and healthy dose of nu disco ensures that this soundtrack sounds as happy on the dance floor as it is in your headphones. Exclusive cover art by Jay Shaw (aka Iron Jaiden) one of the most in demand poster artists working today, his recent work has been selling out in minutes creating a huge demand on the aftermarket. Sleeve Notes from Alan Howarth and Jay Shaw. 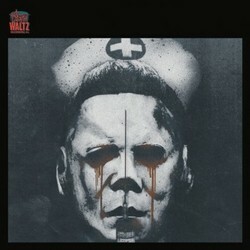 John Carpenter and Alan Howarth managed to do something not many people have been able to do with their score to Halloween II. They managed to take the blueprint of the first films score and make it bigger, darker and nerve shreddingly intense. Synths wail and stutter as the score progresses to the point where you feel your head might implode from the oncoming onslaught. This score really should be played late at night with all of the lights out. In order to give fans a "gold record," the first 100,000 copies of Grand Funk Railroad's "We're An American Band" by were stamped out of gold colored vinyl. 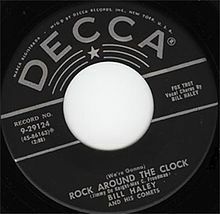 When Decca Records first released "Rock Around The Clock" by Bill Haley And His Comets in the Spring of 1954, most people had never heard of rock and roll and the company had a hard time describing the song. The label on the single called it a "Novelty Foxtrot." It is also widely considered to be the song that, more than any other, brought rock and roll into mainstream culture around the world. The song is ranked #158 on the Rolling Stone magazine's list of The 500 Greatest Songs of All Time. The Allman Brothers' only Billboard Top 10 hit, "Ramblin' Man" was the last song recorded (October 1972) by bassist Berry Oakley before his death in 1972. 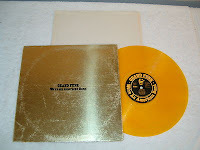 It topped out at #2 on the Billboard Hot 100 chart; it was held out of first place by Gregg's future wife Cher's "Half-Breed." When a poem called "Too Many Teardrops" was put to music, it was re-titled "69 Tears." Knowing that a song with such a name would never get any radio air play, it was re-named "96 Tears" and by October, 1966 became a #1 hit for Question Mark and The Mysterians. Could you think of any other contemporary movie producer that picks better soundtracks than the widely revered Quentin Tarantino? Inventing a genre on his own, his string of best-selling nouvelle violence movies started out in 1992 with the low budget cult classic Reservoir Dogs. The film follows a band of criminals preparing for a diamond heist and follows the characters in the crime's aftermath. Its cast consists of sublime actors such as Harvey Keitel (whose comeback was a direct result of this film), Tim Roth, Michael Madsen, Chris Penn (Sean's brother) and Steve Buscemi as the legendary character of Mr. Pink. 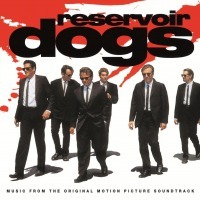 The film's sparkling dialog catapulted Reservoir Dogs to eternal cult status and remains a favourite among movie fans all over the world, a fame to which its soundtrack contributed a great deal. Music On Vinyl is proud to release these so called 'Super Sounds Of The Seventies', a selection of seminal and sometimes wacky hits by artists such as Stealers Wheel, Harry Nilsson ("Coconut" is included on Nilsson Schmilsson [MOVLP279] and Joe Tex. The movie also raised public interest in the Dutch band George Baker Selection, due to the use of his "Little Green Bag" in the film's opening titles. Keep On Truckin'! 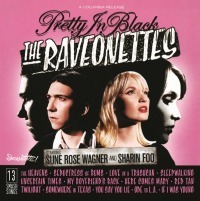 The second full-length album of Danish Fifties/Psych Pop duo The Raveonettes was released in 2005. On Pretty In Black, Sune Rose Wagner and Sharin Foo abandoned the strict recording rules the band laid upon themselves on their preceding efforts (including limiting the amount of different chords in one song, keeping an entire album in one tuning - which was in fact B Flat Major for The Chain Gang Of Love [MOVLP069]) and keeping song running times under three minutes. Instead, the group further expand on their signature sound of Fifties inspired Rockabilly Noise Pop with the eerie feel of a thriller movie soundtrack. First 1.000 copies are pressed on pink / black marbled vinyl! Before he went on a highly successful solo streak, Rory Gallagher fronted Taste - a highly influential Irish Blues Rock power trio that sound-wise had many things in common with contemporaries Cream. 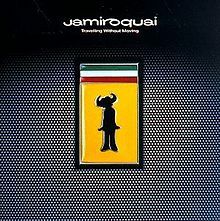 Besides Gallagher, band members in Taste were Charlie McCracken on bass (who jammed with Steve Winwood and Spencer Davis Group just prior to their breakthrough) and John Wilson, who used to kick the drums with Them before their popularity soared. Charlie and John lay out perfect rhythms for a very young Gallagher in his pre-twenties, who showed heaps of talent for making his guitar sing the way only Rory can. 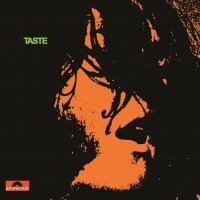 Taste's eponymous debut album from 1969 contains harder edged Rock jams like "Blister On The Moon" but also Blues traditionals like Leadbelly's "Leaving Blues" and "Catfish". Crucial material for any Blues or Rock fan. 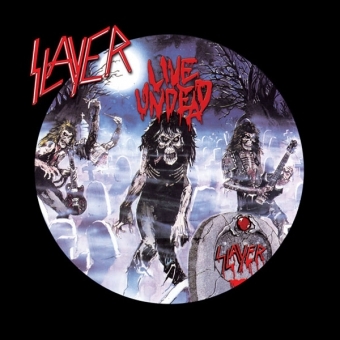 This Special Edition "Live Undead" Colored Vinyl Disc is a must have for any Slayer fan. Printed on silver vinyl with red splatter marks. Glendale, AZ extreme metal unit JOB FOR A COWBOY blend stunning musicianship and cutting edge song craft to create the absolute embodiment of modern day extreme music. 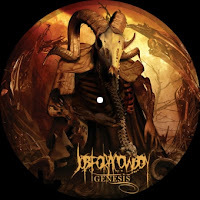 The fast-rising band, known for their intense songs, explosive live performances and forward thinking vision, released their highly anticipated full-length debut, entitled "GENESIS" in 2007. Chicago's EARTHEN GRAVE is thrilled to announce their recent signing to Heavy Rock Leader, Ripple Music for worldwide release of their debut album, Earthen Grave. The album will be available on CD and double vinyl on July 9th via Ripple Music. Formed in 2008, EARTHEN GRAVE is a five-piece Chicago metal band that marries the sounds of metal past and future with a sweaty, pummeling live show. EARTHEN GRAVE boasts an undeniable collective metal and musical pedigree. Each member is an accomplished musician and a veteran of the metal scene, including Ron Holzner who was a member of the seminal and seismic doom pioneers TROUBLE - a band widely regarded as one of the most important unsung American metal bands of all time. In addition, EARTHEN GRAVE has that "extra something special" with occasional guest 6th member live and boasting a Full collaboration on the new release with Rachel Barton Pine. Rachel, a world-renowned classical violinist brings her frightening classical chops to a relatively new instrument, the Viper. Originally released in 2012, EARTHEN GRAVE's self-titled debut features 10 tracks of blistering Doom and Metal that left the critics grasping for superlatives. Terrorizer Magazine hailed "...Earthen Grave sounds old school without being retro, managing to go through every element on which lesser bands usually fail with exquisite grace and solemn subtlety..."
Now to be reissued through Ripple Music, the new edition of the album, produced by Ron Holzner, has been completely remastered with four bonus tracks including the new song, "Death is Another Word...." with new drummer Chris Wozniak (LAIR OF THE MINOTAUR) and the epic live Stargazer (Rainbow) with string section and virtuoso violinist Rachel Barton Pine. And now the album will finally see a vinyl release! 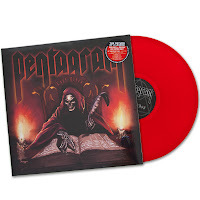 Double gatefold vinyl to be precise, featuring the 10 song remastered debut with the new song "Death is Another Word...." plus three bonus live tracks. One of the live tracks, "Death March Intro - End of my Daze," features TROUBLE guitarist Bruce Franklin. That's a whole new side of vinyl featuring the epic live Stargazer (Rainbow), plus three more live, never-before-released tracks. EARTHEN GRAVE is dedicated to exploring new possibilities for the genre. As guitarist Jason Muxlow says, "It's not about being the heaviest band or the slowest - it's about having good songs. " 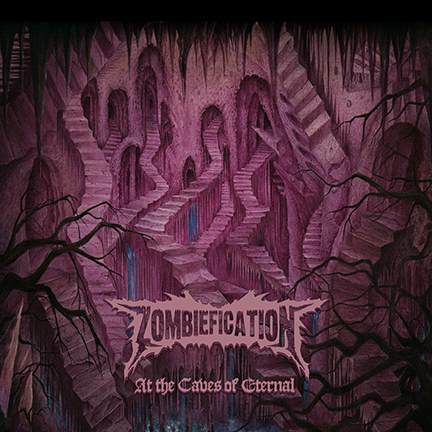 second guitarist Tony Spillman and I played doom metal before it was even called that," Ron continues. "And for Jason, the music we pioneered was his influence. We're bringing the strands of the music together - and with the addition of Rachel using the violin as a core component of a metal band, and featuring multi-talented vocalist Mark Weiner we're taking the genre on a new journey." Catch it all at www.ripple-music.com.